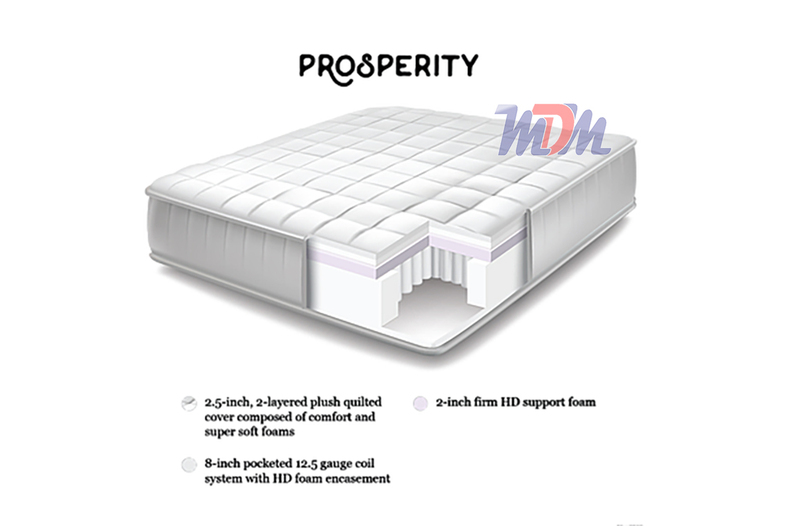 The Prosperity is a soft but durable bed that has a strong foam encased edge and high profile springs. High profile coils (8" height) provide more support than those in a standard mattress. 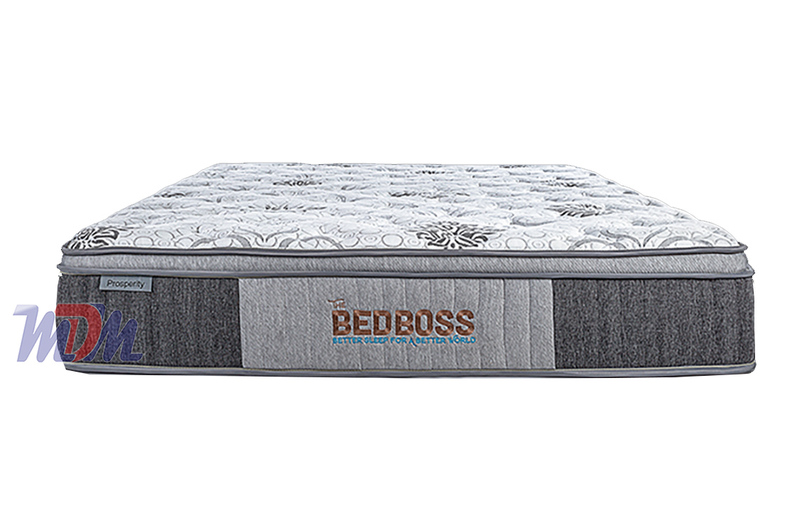 As with all Bed Boss products, it has a low price tag - especially for its levels of quality and technology. Individually wrapped coils are a body-conforming feature and are a lower gauge metal (12") and also high profile so, they offer optimal supportand comfort than those found in a similarly priced bed from a larger manufacturer. In addition to the great coil unit, it has a high density layer that keeps the top layers from dipping into the spring over time. The Euro Top design is simply a pillow top that is attached and, this one has both a comfort foam layer and a super soft layer. . 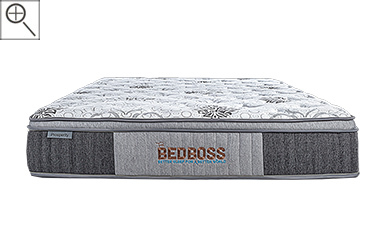 This is a Bed Boss offering that is both soft and durable, which is quite rare in the sleep product industry. The Prosperity gives you both a high density support layer that is just above the coil unit and a very thick soft foam top that has a euro top design. A high profile pocketed coil innerspring unit actually adds foam encasement which cuts down on both motion transfer and bounce. They are also comprised of 12.5 gauge metal and that's a very strong composition. Pocket coils are considered the absolute best spring for those who sleep on their sides and additionally add a great feel for people who sleep in any position. This is also a great value for your dollar and it arrives quickly and ships for FREE! If I'm going to recommend a soft mattress, it's likely this one.